So far, we've gotten to know Susan Weebers and Batman a little bit better, and today? 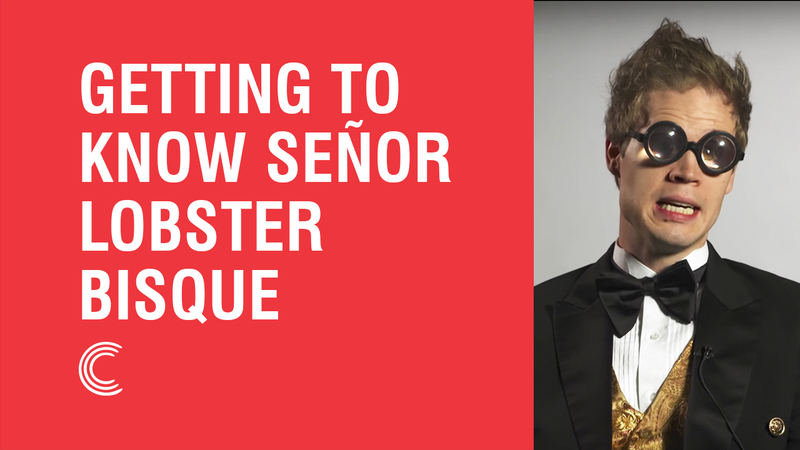 We're sitting down with Señor Lobster Bisque for an exclusive interview. BYUtv: What is your favorite food? Señor Lobster Bisque: My favorite food--I mean, it's everyone's favorite food. Lobster bisque. Obviously. BYUtv: What do you like to do for fun? Señor Lobster Bisque: Uh, sometimes I like to jump on the trampoline. When I'm not doing that, I like to sleep, but a more fun sleep than I do at night. Other than that, I just like to find some good food. BYUtv: What is your dream career? Señor Lobster Bisque: My dream career is probably either a pro wrestler or an astronaut. But, I'm working on my third favorite career, which is to be a chef, and I think I'm doing it pretty well. BYUtv: What is your favorite animal? Señor Lobster Bisque: My favorite animal is the sloth because they don't care what anyone else thinks, and I respect that. BYUtv: What is your favorite movie? Señor Lobster Bisque: My favorite movie is "10 Things I Hate About You," because if you can think of 10 things that you hate about someone, and then still be in love with them, I mean-- What else is there? BYUtv: What is one word that describes you? Senor Lobster Bisque: I think the one word that would describe me is super hot. BYUtv: What do you do when you first wake up? Señor Lobster Bisque: When I wake up, the first thing I do before anything else is scream really loudly. It opens up my vocal chords and also wakes up my dog. I'm a multitasker. BYUtv: What is your favorite dance move? 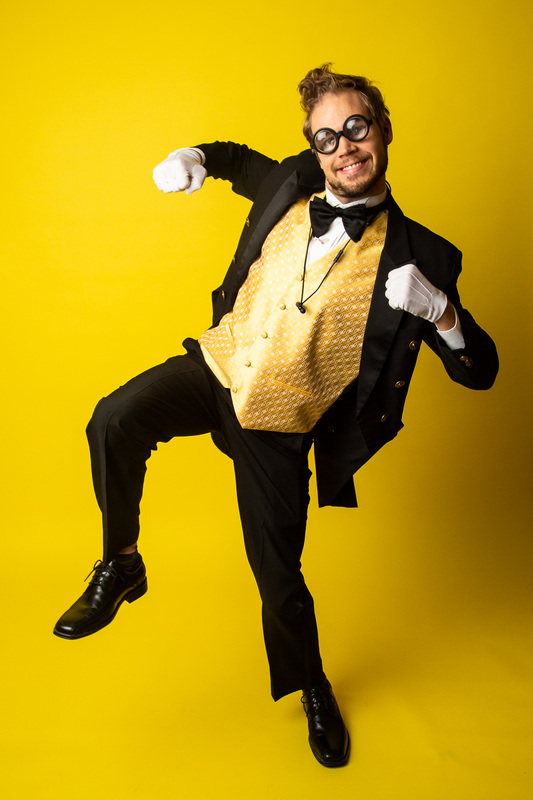 Señor Lobster Bisque: My favorite dance move. Well, that's the opposite of waking up, because I do this, and it puts me to sleep. Okay. BYUtv: What is your favorite Studio C sketch? Señor Lobster Bisque: I have to say my favorite Studio C sketch is the Vet ER because it's so dramatic, and everyone is really dedicated to saving the animals, but you never know if anyone's ever going to get saved, and it's just riveting. BYUtv: Do you have any cooking advice for us? Señor Lobster Bisque: Now, my one piece of cooking advice, if I had to choose one, is probably to use heat. I've made a lot of mistakes not using heat while I was cooking. Then I got salmonella. It's a beast. Had to take an ice bath. Can't Get Enough Lobster Bisque in Your Life? While there is more of Señor Lobster Bisque coming in Season 9, be sure to check out some of our favorite Lobster Bisque sketches from the past! Don't miss Señor Lobster Bisque (and more of your favorite characters) on Studio C Season 9 airing every Monday night at 7pm MT on BYUtv.